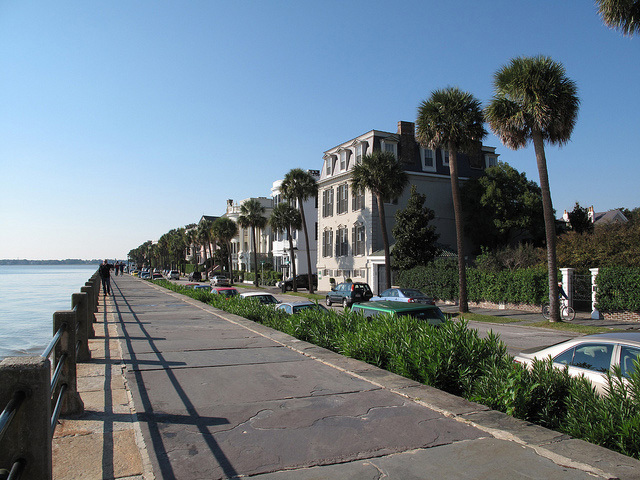 Granite wall in Charleston, South Carolina was completed in 1820; photo by Lal Beral on Flickr (noncommercial use permitted with attribution / share alike). South Carolina designated blue granite as the official state stone in 1969. South Carolina is one of the largest producers of granite in the United States. Blue granite is actually gray-colored granite, but can exhibit a blue hue when it is polished.